I’ve discussed before the merits of learning from your children: especially in the world of social networking. I recently observed at close quarters another excellent application. My daughter is shortly off to University. Putting aside my own feelings at seeing her fly the nest, I remember my own university experience. I attended a sixth form college with very little contact with the outside world. I attended a couple of formal university open days, applied to a few and was given an offer based on achieving target grades. I waited until my exam results emerged and, if in doubt, rang the university for confirmation. I filled in some more forms for accommodation and then turned up on day one excited, bewildered and a little nervous. The road to university is very different these days and much better for it. Along the way to acceptance my daughter has attended summer schools, sat entrance examinations, visited the universities through open days had interview days and corresponded with the academic departments. 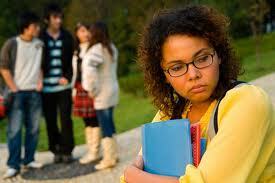 At each stage she has added Facebook friends and used the online student forums. This meant that as each was waiting to hear results or offers they were able to consult and console with their own support network. It’s much better not hearing anything if you know that no-one else has heard anything either! It also supplies a safety net for asking questions and setting expectations. For the universities this must undoubtedly provide valuable insight into the student experience which can only improve their recruitment in future. Once she was accepted she was contacted by two students from her university who have been allocated as her college accommodation “parents”. They have introduced themselves and made her feel welcome. She will have two people to meet immediately on arrival who can show her the ropes, ensuring she gets fed and watered but also engaged with the social side from the start – University can be a lonely place for anyone not naturally outgoing. This has taken away a lot of the trepidation and given her something to look forward to and us a lot of peace of mind. She was then contacted by a subject “brother” – someone studying her course who will help her out with the subject – where the lectures are and someone she can ask about the workload. She has also been in touch with a group of other people who have now been accepted onto her course or her accommodation who are sharing the same experiences. Although I am delighted for my daughter and relieved as a parent I am interested with the parallel with the workplace. The obvious links are with the recruitment process. How much better to welcome in a new employee through the interview preparation and then through their notice period by social networking. Could you get a quicker return on the salary investment and a happier new recruit who is more engaged with the company culture? In 1929 Frigyes Karinthy summarised the future potential for friendship networks in a world where communications and travel were easier and cheaper. 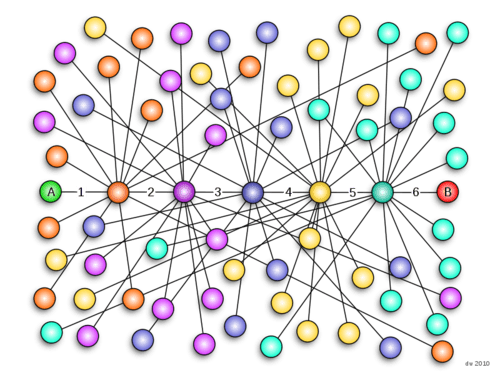 Six Degrees Of Separation was the model which suggested that two people anywhere in the world could be connected with each other by a chain of introductions. In the 1960s Stanley Milgram conducted experiments to prove the theory. Earlier this year Facebook announced that Facebook users were 4.74 degrees apart on average. This is a file from the Wikimedia Commons by Dannie_walker. It figures that if you want to communicate a message to as many people as possible you need to understand a little more about these interconnections. Firstly a tweet which is retweeted can rapidly go a long way and secondly you may be interested in curtailing the connections in some way. Firstly, the bigger the numbers, the harder it is to even monitor the conversation. It would make sense that you would want a mutual social relationship with your community and so you would “see” all their comments, statuses and posts. The sheer volume of noise this generates means it is difficult, even with the best monitoring tools, to make sense of what is happening – even harder to engage in a meaningful way with your community. This is the equivalent of the doors to the trade show opening and a wall of people making their way directly to your stand. The people manning the stand would be completely overwhelmed and be unable to identify the real prospects amongst the timewasters. The objective is not just to acquire and keep the community captive. The challenge is to nurture and develop relationships with the community on as personalised basis as possible. A monitoring and listening approach will look out for references to you, your company, your products, your competitors and market issues. The hierarchy would suggest that with limited resources you want to make sure that the defensive position is protected first – that the mentions of you and your products are picked up and responded to. This could still leave a large part of the community untapped and feeling unloved. This is similar to having a stand and just handing out promotional literature. It’s a fairly blunt marketing strategy. The best use of trade shows involves taking the right people to one side and discussing their detailed requirements over a coffee. The final reason why numbers are unimportant is that you will be judged by the company you keep. The Social Influence scorekeepers look not only at numbers but the strength of the community you interact with. As your social community is often visible, if it is largely made up of pornbots and people from different continents it doesn’t reflect well on your housekeeping. It may mean that potential followers decide not to. Again, taking the trade show analogy, we all scout the whole venue first and make value judgements over which stands are worth visiting. Of course there will be those you have heard of in advance but there will also be those that look popular or have interesting content worth exploring. Similarly you avoid the ones where the staff look uninterested or uninteresting and the stands which are full of students. As a supplier you need to create a positive first impression just to have a chance of developing the relationship further. With those caveats, how should you build your Twitter community? To start with – really think carefully about your Twitter name and profile. The name is important for making it easy for people to refer to you and contact you. The hard work is done by Twitter when you reply to someone but if you want to DM someone or refer to them in a normal tweet, underscores and numbers can mean you never get the message. Keep it as simple as possible. If all of the remotely basic versions of your company name are taken choose a different path. For example if you are a joiner called John Smith it is far better to go for @HappyJoiner than @john__smith377. Think in advance also about how other people at your company could get involved. If this is likely @JoinerJohn could easily be supplemented in future by @JoinerRichard but @HappyJoiner would only suggest Richard is in a bad mood or unrelated. Research shows that the photograph plays a really important part in whether people look at your tweets or not. As a result, never leave the egg image, and pick a photograph which is of a person or an image large enough that it can be seen clearly as a thumbnail. Twitter profiles are one of those areas where you don’t want to be too arty. You then have a limit of 160 characters. In this space you must say clearly what you do, try and differentiate yourself, explain where you are (a bugbear of mine) and who you want to follow you. The Twitter search will be used by people so think of the words you would want to be searchable in your profile. You can’t say everything you want to in 160 characters but you do also have space to add a url so have a clear strategy for where you are going to send people for more information. I find that using lists and targets is the best way to stay on top of things. In Twitter there are some real constraints which you need to manage your way around. The most obvious of these is are the 2000 barrier on follows and the dangers of being suspended if you unfollow too rapidly. It would be much easier if you could spend hours searching for “your kind of Twitterer”, follow them all and then wait for them to follow back. Unfortunately Twitter puts a set of hurdles in place to force true engagement. The first of these is that you can’t follow more than 2000 accounts unless you also have 2000 followers (approximately). There are similar hurdles as the number increases but the problem is the same. As you get nearer to the limit you find yourself carefully unfollowing to give yourself headroom. I find it easiest to stay focussed from the start and not automatically follow everyone back. When I follow people I really try and concentrate on people that I want to engage with – potential customers, influencers, influences, relevant suppliers, customers and competitors. If the Twitter account doesn’t meet the profile: don’t follow! Of course this can appear rude if you ignore a follower by not following back. The simple way to address this is to publish a charter of what your account is about and who you want to follow you. When choosing who to follow always look at their most recent tweets – what’s the point of following someone who last tweeted three months ago? Similarly – what’s their balance of follows and followers. If you follow someone who has 13,000 followers but only follows 100 is their really any point? If you want to learn from their pronouncement then maybe but the chances are they won’t ever see one of your tweets. Interaction and referencing is the best approach with these accounts. I also find it useful to maintain lists from the start. Lists are a really good way of grouping Twitter followers and followers according to whatever criteria you want. Make sure you make the lists secure if you don’t want to offend them by seeing how you categorise them (people will be notified they have been added to a list unless you do so). This will also come in handly when you want to be proactive – you can quickly see how many followers of a particular type you have (a quick check is to fill lists right up until you reach the 500 limit and then create a second list called Customer2 for example). These can be exported into spreadsheets and databases for further analysis. This is a very tedious job to do later so its best to stay on top of it as part of your operating procedures from the start. One of these lists should be targets. 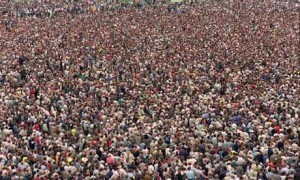 These are people who initially you would follow and who you would love to follow you back. These may be journalists, executives, or key customers. They will often have thousands of followers and be extremely selective about who they follow. Importantly they are also likely to be very busy. If you don’t know who you are aiming for you are never going to engage with them. Tweetdeck is a good tool for monitoring their conversation in different lists – this target list may only have one or two tweets a day and most of them will not give you an opportunity. However, if you monitor in real time you can also react at a time when you know they are catching up on their social media and may well see your tweet. To give yourself a chance of getting a follow you need to be seen first and foremost and you then need to give them a reason to! Examples of reasons may be that you retweet their comments (everyone likes retweets), that you provide more information on a subject they are tweeting about currently, or simply that they entertain you and they retweet your own creation. It’s a fine balance between stalker and someone who is genuinely interested in them so make sure you control frequency and content carefully. Finally, regularly have a purge of follows. There are some good tools available which analyse people you follow who don’t follow you back. The same tools can manage removal of the oldest first and also give some indication of the likelihood you should expect a follow back based on the relative numbers of follows/followers. I regularly have a look at unfollowing up to 50 at a time. This gives headroom for following more people who may be interested in participating in your community without causing concern with Twitter. This is a good practice also because some of these may not be following back only because they overlooked you. Unfollowing and following back may be all it takes to recruit! I really believe that at the end of every working day it is important to know whether you are winning or losing. It’s a viewpoint that ensures you stop doing pointless things and push harder on the things that work. When times are tough it puts it in perspective if you can look back at previous victories and can see that the current challenges are only on the journey to something good – showing the light at the end of the tunnel. Fundamental to this are very clear objectives and targets. Social media is no different . We’re putting in the effort for a reason and it is important to understand, and more specifically for our bosses to understand, what the return looks like. I’ve blogged previously to indicate that the Social Media metric is Return on Influence. 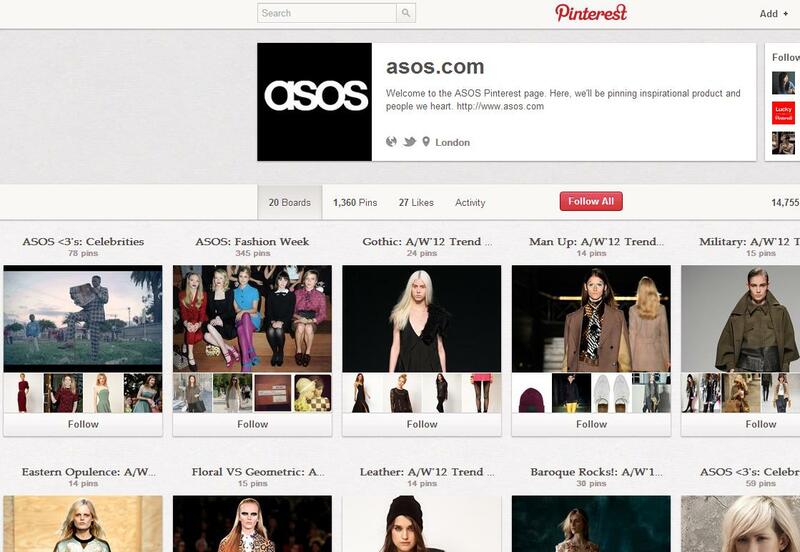 The emphasis on monetising social media is spawning the term social commerce. In my mind the challenge is to think of social media as a channel. With my contact centre manager hat on I am used to understanding the return on investment of my activities. My clients understand their customers and they believe that the right balance of cost and service for their customers is to target me on answering 80% of their calls within 20 seconds for example. I know that to achieve this Erlang calculations tell me the number of people I need to have answering telephone calls at each part of the day. I can calculate my total costs by considering the amount of shrinkage I need to allow for holidays, sickness, lieu days, training, toilet breaks etc. Looking at it from the client’s side I can consider the value of each sale they make and the conversion rate against inbound calls. By factoring in the margin they make on each item I can work out a return on their investment in my contact centre. The important thing about inbound activities, whether they are telephone, white mail, web chat or email is that they are demand driven. In a purely inbound world the handle on the sausage machine turns and 1000 contacts produces x number of orders and so x number of products need to be manufactured to meet the demand. The emphasis in call centre operations these days is to minimise cost through first time resolution and to focus on customer satisfaction (which may require a few more touch points). Social media turns the model on its head because, used well, it seeks out the conversation. I will discuss the merits of cars many times more than I will contact an automotive company’s help line. The challenge for automotive manufacturers is to build a relationship with me so that when the time comes to monetise my interest I understand the brand. It is much, much more complex though because I have a part to play in the influence of others too. Everyone likes to be seen as a clever consumer and so we tend to think that the car we drive/the holiday we chose/the clothes we wear were the best choices and we rate them accordingly. Bazaarvoice research as indicated by the infographic shows the difference between the Millennials (those born between 1981 and 2000 also known as Generation Y) and the Baby Boomers (1946-1964) in the importance of User Generated Content to their purchasing decisions. The bottom line is that the smart social commerce players want the potential purchasers of the car I drive to talk to me about my experiences, not send them a brochure. So coming back to targets, the objective of the social commerce practitioner is to create and grow a carefully focussed community and to groom it with a light touch. Whereas my contact centre with its traditional channels is governed by demand, the perfect community would be the place where THE conversations happen. Only the Community Manager fully understands that the Community exists, its scale and its influence because it is built on layers of blogs, websites, Twitter feeds, Pinterest pages, and Facebook pages. Original content is created to feed the interest of participants but also the movers and shakers will participate. Taking the automotive example, it’s a big day when Jeremy Clarkson comments on your blogpost. And here is a further challenge; while it may be a great day if he likes what you have to say, woebetide it if he decides that today is the day to vent his spleen. Of course Mr Clarkson is subject to social pressure too – he wants to be seen building brand Clarkson by being Clarkson-esque but carrying some serious weight too. If your offer great cars and great service he is going to face a backlash if he decides to buck the trend. I like to think of social media like water. It is a very precious resource that needs protecting and keeping pure but it is also an unpredictable natural resource – you will never master it. At best you can protect against the extreme damage and channel it to provide benefits in a wide range of ways but knowing that your best laid plans at some point have to change due to either drought or flood. Initially your community of customers will be hugely grateful for the supply of fresh water you have provided for them to bathe, drink, create water features, enjoy as a natural spectacle, fish, swim, sail etc The moment you become complacent however they will start to scrutinise what you are doing more closely and challenge the price and service you provide! So, at the end of today, how well are you managing the water? Market research is a key measure which indicates how well you are doing. You will never get the precision of knowing that a particular advertisement played well but the brand perception should move in accordance with your activities. There will be instances where the influence of social media can be captured precisely. Within the contact centre we regularly capture which specific advertising treatment triggered the purchase and the same crude mechanism could identify those customers who are following on Twitter for example. The customer database will grow with today’s name address, telephone number and email address being appended with Twitter name. Permission to contact by mail with carefully chosen offers could be altered to requesting permission to “friend” on Facebook. Your customer satisfaction scores should also improve if you are proactively listening and engaging rather than relying on them getting in touch for help. Associated with this will be the day-to-day little wins – the new customer who takes the time to explain that the reason they are purchasing was a positive review they saw on Amazon or recommendations from Twitter followers. As a call centre manager it’s easy to slip into the lazy habit of imagining your customer holding a telephone to their ear in their hallway. This wouldn’t matter if it wasn’t that we tend to design all our products and services around a particular image and the image in our head can often be from times gone by. We have been programmed to design projects with a payback over a number of years but our world and our customers are changing. 30 years ago the typical customer communication was via post. In my first working office I remember the telex machine stood as a silent reminder of a channel dying out. The fax machine was used regularly as a way of sending images. I wrote letters which went through the typing pool before being sent, hopefully to receive a response within a week. We prospected in those days by sending an introductory letter followed up by a telephone call a few days later. Then came email, a wonderful invention geared towards improving communication within our business, and shortly afterwards came the web with access to some interesting bulletin boards of information. Around the same time the first handheld devices I remember – the Psion organiser – emerged as an alternative to the Filofax. It incorporated a diary, contacts database and clock. The smartest sales reps around would flip one open at a moment’s notice. The original model in 1984 cost £99 – around £285 in today’s money and I remember being extremely envious of them but being unable to justify such enormous expense. At the same time the PC was developing and I remember selling a proprietary standalone computer, second-hand, for the equivalent of £2,500. It could just about run a spreadsheet and a word processing package. The first mobile phones were enormous and they were rationed like gold dust – expensive to buy and expensive to use. This was at the back end of a generation who were grateful for telephones, never mind mobile phones, and were brought up to ration their use. I worked with Americans at this time who were astonished at the British cultural aversion to using the phone. Over the years the handsets got smaller but still did pretty much the same thing. Their usage became more widespread but I still remember the shock when teenagers started to get mobile phones. What would they use them for – who would they call? They were clear luxury items. The IBM PC launch started a revolution too. The difference with the IBM PC was actually the Microsoft operating system and the access to software it enabled – at that stage no-one knew about Microsoft and everyone knew about IBM. The thing that impressed me about the first IBM PC I saw was the graphics rather than the machine itself. The disks, the chips and the graphics capabilities improved rapidly. The first laptops I remember were actually “luggable” devices used by auditors on the move. Very heavy and with very poor monitors. Compaq launched some comparatively tiny machines and a new market was created. Around the mid 1990s I began to really dabble with gadgetry and I had a string of pretty good but very expensive HTC and HP devices which involved using a stylus and could access mobile websites in a text only form using WAP. HP had an online shop of apps – there must have been a couple of hundred to choose from at one point. The growth of the mobile networks in coverage and bandwidth and the development of broadband with wireless internet have changed the face of technology in the 2000s. The launch of the iPhone happened in 2007. Since then there has been the meteoric rise of the Blackberry, now tailing off. The seeming dominance of Apple based on vastly more apps and ease of use is now being eroded first by Android and potentially by Windows 7. The phones at first got smaller and are now getting bigger. Tablets have been around for at least 20 years but the iPad transformed their market and now tablets are getting smaller. 1. At the time, each of these stages seemed revolutionary. You couldn’t imagine wanting or needing anything more. 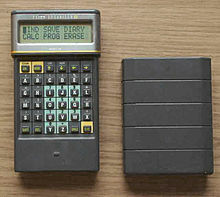 The first Psion Organiser was every bit as groundbreaking and revolutionary as the iPhone. 2. The pace of change is phenomenal and it is impossible to pick long-term winners. The days of a dominant supplier are numbered. 3. While much of the change is driven by technology making things possible, a significant part of the change is driven by consumers. While we need to spend a significant amount of time thinking about a social media strategy based on applications we also need to think about where and how the applications are being used. We need to build strategies and platforms to take advantage of opportunities with customer behaviour across all platforms and not try to pick winners. Anyone who doesn’t adapt their website to serve customers using a mobile device is missing a trick. Service strategies reliant on customers quoting a long account number from memory or a recent bill, making a phone call, or writing an email are completely outdated.